Nokia has unveiled preliminary results for the fourth quarter (Q4) of 2012, showing higher smartphone sales than expected. 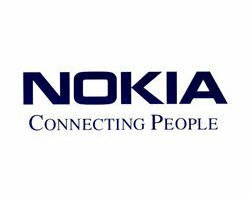 Finnish mobile manufacturer Nokia claimed it had sold 4.4 million of its flagship Lumia handsets – running on Microsoft’s Windows Phone mobile operating system (OS) – in the three-month period; more than double the figure for third quarter. Analysts said sales were previously low as prospective Nokia customers were waiting for the new Lumia 920 range to be released, featuring the updated Windows Phone 8 software. The launch clearly boosted numbers, with sales for the quarter expected to reach €3.9bn, including the shipping of 9.3 million Asha handsets and 2.2 million Symbian smartphones. When feature phones were included, the number of devices shipped rose to 86.3m units. Nokia Siemens Networks (NSN) also performed well, with predicted sales of €4bn for the quarter and an accompanying statement saying it had “better than expected improvement” during its restructuring programme. Both the devices division and NSN received one-off payments for the quarter to help them into profitability – €50m and €30m respectively – but as the statement was only preliminary results, no firm revenue figures were published. "We are pleased that Q4 2012 was a solid quarter where we exceeded expectations and delivered underlying profitability in devices and services and recorded underlying profitability in NSN,” said Stephen Elop, CEO of Nokia. The statement comes in the same week Elop hinted at the possibility of Nokia hardware running Google’s Android mobile OS. If the Lumia sold 2.9 in Q3 how is 4.4 more than double?